It's Dominican. It's factory direct. It's a pyramid. It's a maduro wrapper. It's tasty. That's all I really know. Covered by a stout, toothy maduro wrapper, this Silvio Palomino pyramid is a chocolate bomb waiting to explode. Sure there were other flavor notes of earth, toast, molasses and brown sugar, but this cigar was a chocolate bomb right from the start. I picked up a 5-pack sampler the other day for $14.95 and second-day free shipping from palomino-cigars.com. I'll pick one of the other four and do an in depth review on DanGumm.com in the coming days. An oily, toothy, Nicaraguan wrapper covers a Nicaraguan binder plus Honduran and Nicaraguan fillers. The cigar wrapped in great looking dual bands produced huge plumes of smoke with medium/full bodied favors of fruity red wine aged in oak, white pepper, earth, barnyard, toast, brown sugar, cream and charcoal. This CAO Earthquake came from Cigar Train. So far I've had pretty good luck with the cigars that come from Rocky Patel, including this box pressed Ocean Mist toro. I've seen these in catalogs from time to time and they've always sparked my interest but I had never found one in my price range. That is, until two weeks ago I hadn't. A card came in the Mail from Holt's Cigar Company offering a 5-pack of Rocky Patel toros for the meager price of $12.00 including free shipping. Let me tell you, I jumped all over that deal. They arrived in the mail last week so here we are. . . This Rocky Patel Ocean Club was a pretty nice cigar. The wrapper had a bit of tooth, a slight oil sheen, plus it was nearly vein free and seamless. Overall, it looked pretty sharp, plus it sported a triple cap. Being box-pressed, the body was a bit soft, but as it warmed up and then turned to ash, it didn't get spongy. Testing the pre-light aromas and flavors, I found the foot to have a mild barnyard aroma and the free cold draw had a mix of barnyard and tea with a hint of spice. Once the cigar was burning it produced huge mouthfuls of mild bodied smoke with nuances of sweet tea mixed with cedar. Right at the mid point something happened that stumped me a bit, I could taste a hint of what I can only describe as mint. It was there, but it wasn't but I could feel the freshness on my palate so I knew something was up. The mint flavor only lasted for a few draws but I could feel the freshness on my palate until the very end. Once the mint disappeared, the flavor mix went back to more of a black tea, cedar combination. I'm not really a fan of mint, but in this cigar it wasn't to bad. Overall I am pretty happy to have smoked this stick. It's razor burn, the top shelf construction and the 65 minute smoking time added up to a pretty pleasant smoking experience. If you like mint, give this cigar a try and then let me know what you think. Since time was limited today, I chose the Joya de Havana figurado #2 from Cuban Stock Cigars because of its smaller size. The Joya de Havana, is crafted from three year aged Cuban seed tobaccos that are grown in the Dominican Republic, Ecuador and Honduras. This Joya de Havana figurado #2 was a well crafted cigar. The dark, almost black, oily, Dominican wrapper was rolled on with near perfect skill and was nearly vein free. Testing the cold draw, I found a honey like sweetness from the wrapper to my lips, with the same aroma from the foot. The flavor profile was nice; the cigar started and finished with a nice full bodied mix of earth, oak and tobacco, but in between there were nuances of barnyard, brown sugar, cocoa, cream, raisins and caramel. 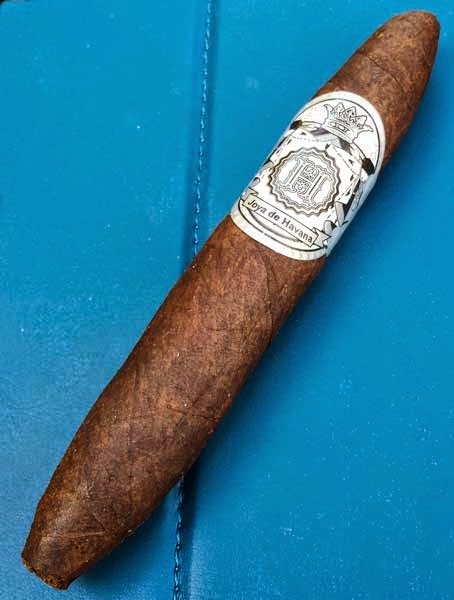 As the Joya de Havana figurado burned on, it left behind a firm, light gray ash that held on until the mid point and the burn line was razor sharp. 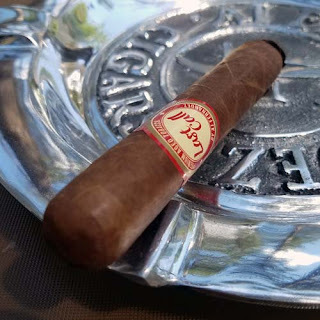 With a smoking time around 40 minutes, and the great flavor mix, this figurado from Cuban Stock Cigars would make a great after lunch cigar or when ever time is short. This is top drawer cigar in my book! I would like to thank Cuban Stock Cigars for providing this sample for review. Back a few weeks I reviewed the Reunión Digestivo Double Robusto by Bodega Premium Blends and fell in love with it. Today, it's the Reunión Aperitivo Robusto. It too has the same great looking band that reminds me of the Minas Tirith flag from the Lord of the Rings. Let's see if this cigar is also a fitting smoke for the King of Gondor. . . When I smoke a cigar, the flavor mix is my main focus. Sure it maters a bit how the cigar looks and I care about how it burns, but it's all about the flavors and the Aperitivo robusto is bursting with flavors from start to finish. 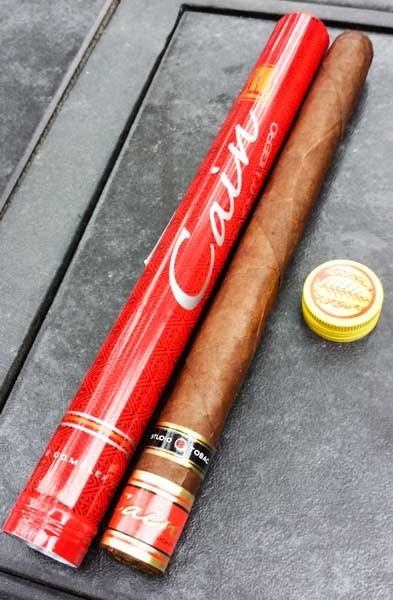 Looking at the Aperitivo robusto I see a top-of-the-line cigar with seamless construction, a wrapper that has a bit of tooth and contains only a few fine veins. Checking aromas from the foot I found mild notes of sweet tobacco and once the triple cap was clipped with my Xikar cutter, the cold draw was a sweet, sugary mix of toast and tobacco. Another thing I like from my cigars is smoke and this cigar produced plums of smoke from the foot once it was burning. With the first few draws I found a mild bodied, spicy blend of cedar and brown sugar with a sweet, lingering aftertaste. The flavor mix wasn't super complex, but it sure was tasty. As I smoked on, there were other flavor nuances of tea, tree fruit, sweet tea, oak, toasted nuts, toast, more brown sugar, white pepper, sweet cream and even a splash of coffee. 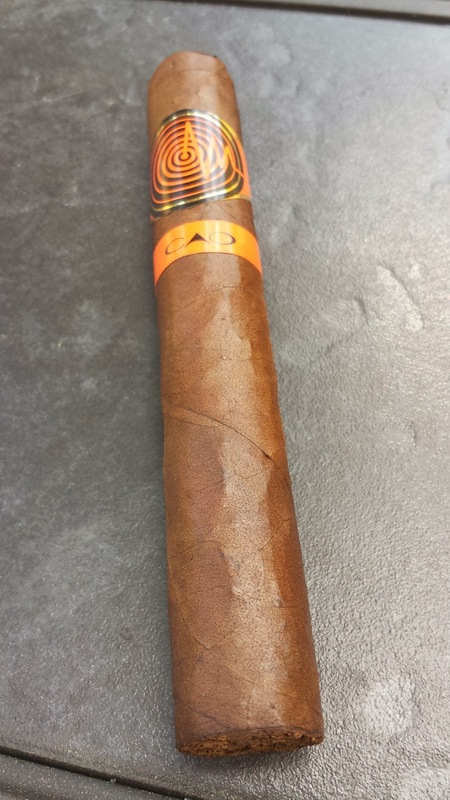 The burn line on the Aperitivo robusto was razor sharp full length and the ash held well past the first third, plus the farther the burn progressed the more oil appeared on the wrapper. To sum things up, I thought this cigar while not super complex, was a flavor bomb! It produced a ton of smoke from both ends and burned like a dream. If you haven't smoked the Reunión Aperitivo Robusto by Bodega Premium Blends yet, add it to your "must smoke" list. And yes, this too would be a cigar fit for the King of Gondor. . . I would like to thank House of Emilio for providing this sample for review. Thank you. Over the past couple of years I've smoked some of what I think are the world's finest cigars and have enjoyed every minute of reviewing these cigars. However, I started this site as "Cheap Ash Cigar", with the intention of sharing with the "average Joe" cigar smoker which cigars give the best bang for the buck. While a lot of that still holds true since I am using a rating for price, I have moved away from the true "budget cigars," and I think that's a mistake. While I will continue to review premium and super premium cigars, I will add more budget cigars into the rotation. To accomplish this task I picked up a couple budget 6-packs from Holts.com and will pick up more budget samplers from other retailers as I can to improve the review mix. Now, on to something that concerns all cigar smokers. Here is a list of must read articles on the current FDA fiasco. Nomad Cigars is also sponsoring a Cigar Rights of America membership drive Contest. Please, don't stand still and think everyone else will take care of it. Be part of the solution! This coffee sample is another one from my wife's office. Once again this Earth and Sky blend sample mysteriously arrived on my home coffee bar so I figured why not give it a taste and a quick review. Actually to be honest, I asked her to bring these samples home because Cravens is one of my favorite coffee roasters and I wanted to try it out. 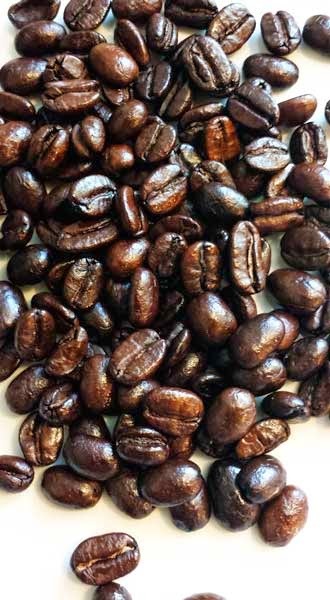 On the Cravens Coffee web site, this Earth and Sky blend coffee is billed as "full-bodied, complex". Let's see what we find. . . Reviewing Cravens Coffee over the past weeks has been a fun and interesting experiance. So far each roast or blend has been quite different from any of the others. In the bag, the oily Earth and Sky blend beans gave off a mellow smoky, seasoned firewood aroma. The aroma reminded me a bit of an early morning campfire. 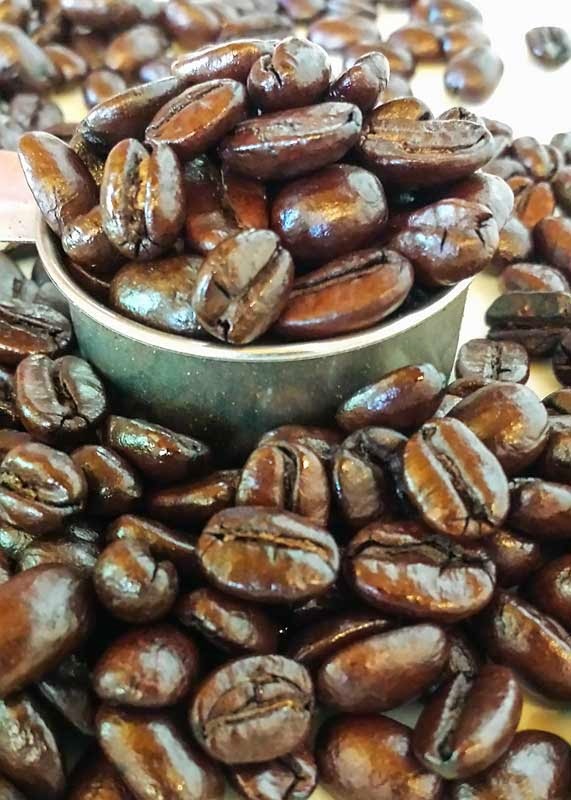 Once the beans were ground they gave off a more traditional nuances of coffee and cocoa with a hint of sandal wood. On the pour over the coffee produced a nice bloom and it gave off and earthy, cocoa aroma. The first sips were bright and crisp with a clean finish leaving my palate feeling fresh. As the coffee cooled just a bit, it became bolder with flavors of sandalwood, earth and toast, with more of a syrup like finish and a lingering aftertaste. Toward the bottom of the cup, a sweetness developed, perhaps it was a subtle amount of fruit, and the smokiness really came out. For me, this Earth and Sky blend would make a great after dinner cup of coffee while I relax with a full bodied maduro cigar. I didn't find a magnitude of different flavors, but the shift from bright and crisp, to bold and syrupy makes this coffee pretty complex in my book. I give this Earth and Sky blend a 4.9 out of 5 star rating. Most of the people I talk cigars with know that once I find out that A.J. Fernandez has a new cigar or a hand in someone else's cigar, it goes right on my "too smoke list". I smoke a ton of A.J. Fernandez cigars and love nearly every one. This Pinolero Figurado has an odd band and an odd name, but I bet it's another great cigar. Well, on with the show, let's smoke this baby and find out what it's really like. . .
Filler: Nicaraguan & Fernandez family secret. Construction of this Pinolero figurado is just what I would expect from an A.J. Fernandez cigar, top shelf. It was packed firmly full length with no hard or soft patches. The wrapper had a bit of tooth, a light oil sheen and just a couple fine veins. After clipping the cap and torching the foot, the first few puffs had a sweet spiciness mixed with oak and toast. That combination left behind a nice sweet aftertaste on my palate. I defiantly wouldn't call the flavor mix complex, but the cigar was full of solid, good tasting flavors. Not only did I find the spicy oak and toast, but they were soon followed by notes of roasted nuts, mild black pepper, rich tobacco, earth and caramel. Tasty. As the burn progressed it left behind a soft light gray ash that held on for most of the first half and an oil line developed just above the burn. By the time I was into the final third, the entire wrapper had a glossy oil coating. Overall this Pinolero figurado was just a solid cigar. It had great flavors, a nice burn and tight construction. Add that to a near 60 minute smoking time and this stick is a winner! I have a maduro robusto version of this cigar resting and can't wait to smoke it too. 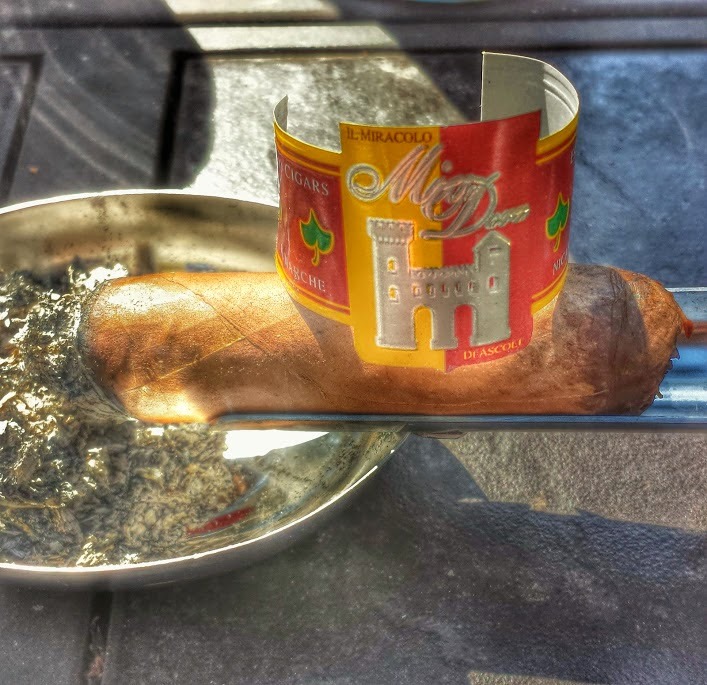 I really enjoyed this cigar and suggest you give it a try! Over the past couple of years I've reviewed quite a few cigars in the Cuban Stock Cigars line and let me tell you, they never cease to amaze me. To date, every Cuban Stock Cigar I have smoked has great construction, burn and flavors. On their web site, Cuban Stock Cigars says the Exquisito Bleicoso Limited Edition is, "composed of the rarest tobacco in the Dominican Republic and handled by our most skillful rollers." Let's see if this limited edition perfecto continues the streak . . . Right out of the cellophane this was one of the most unique cigars I've seen and it all in the cap. I have no idea what to even call the cap, but it's binder and wrapper bunched together then bound tight with some type of natural fiber. It's actually pretty neat looking, it kind of reminded me of a witches broom. I did wonder how the wrapper would perform once the bunched cap was cut, but it was flawless. Since the foot was nearly closed there are no cold aroma or draw details, but the wrapper did leave a familiar sweetness on my lips. Being a perfecto, the small foot created a tight draw at first, but with each puff it freed up a bit more. 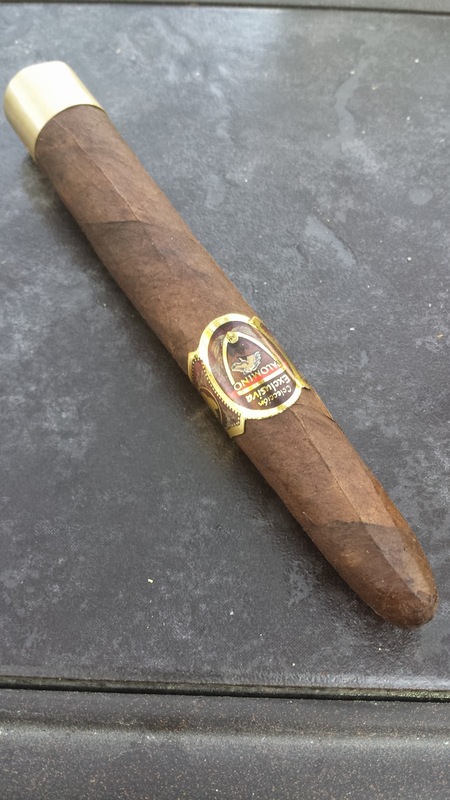 The initial flavors from this medium bodied cigar were a tasty mix of molasses and earth. As the cigar burned on there were additional flavor notes of oak, coffee, cocoa, toast, brown sugar, peat and cream. The cigar finished in the medium/full body range with my favorite flavors of cocoa, cream and charcoal, (what I call burnt mocha). Construction of this Exquisito Belicoso limited edition was top of the line. The stout, toothy wrapper had a slight oily appearance, the seams were nearly invisible and there were only the finest of veins. The burn left behind a semi firm, light gray ash that held tight until the mid point before falling away. Overall I would have to call the flavor mix of this cigar, earthy and smooth. The cigar had great construction, nice burn and was a pleasure to smoke. I would like to thank Cuban Stock Cigars for providing this sample for review! Back in March, Gary Griffith, owner of Emilio Cigars, announced on From Seed to Smoke, a new cigar line. ". . . I am pleased to announce the forthcoming release of "Mia Dora" by Emilio Cigars, dedicated to the beautiful woman I love. Manufactured in Esteli, Nicaragua by my dear friend Abdel Fernandez, the cigars, featuring a Habano Rosado wrapper and Nicaraguan filler, will be released in July, 2013 at IPCPR in Las Vegas". My suggestion, hop over to Gary's blog, From Seed to Smoke, to read the full story about the name and the band artwork. Heck even follow the blog, it's a good read. Once released the Mia Dora will be available in four vitolas, robusto, toro, torpedo, and corona. This review sample was provided by Emilio Cigars and I am honored to have an opportunity to smoke this as a pre release. With that said, this cigar had such an amazing flavor mix, let's start there today. . .
Once the cigar was lit, the initial flavors of tea and toast were light and mild, much like a normal Connecticut cigar. I thought to myself, "OK, this is pretty good, but nothing special", and I hopped on my phone, getting off task. Right around the one inch mark, the flavors pulled me right back to reality. I can't really say that a bold flavor blast hit me, that's not the case. The flavor mix hit me more like discovering a new wine that is full of flavor, rewarding and something you just want to savor for hours. While enjoying this Mia Dora Toro, I found flavors of sweet tea, brown sugar, cream, coffee, coffee with extra cream and sugar, caramel, lots of caramel, raisins, molasses, roasting peanuts and even a touch of oak here and there. In fact all the flavors were here and there, here one minute, gone the next, then back a bit later. There were lots of sweet flavors in this cigar, but the sweetness wasn't over powering like a flavored cigar, they were mild, mellow and satisfying. In the final two inches this cigar finished with a medium bodied mix of toast and coffee. Quite often I pair diet Pepsi and coffee with a review cigar. Each drink tends to skew the flavors a bit, but with the Mia Dora Toro, the flavors simply held their own and weren't influenced by the beverage. Plus, I was so wrapped up in detecting the subtle flavor shifts that I forgot to record the smoking time, but I'm pretty sure it was over an hour. This cigar's near seamless construction was again stellar and only the finest of veins were visible in the Habano Rosado wrapper. From the cold foot there was a faint aroma of sweet tea and the free cold draw had nuances of sweet tea mixed with rich tobacco. Overall I thought this was a fantastic cigar and I will be adding it to my smoking rotation once it's released this year. When I first saw the name of this cigar, I thought to myself, "what kind of name is "Carpe Noctem" for a cigar?" So I typed it in Google and found this definition at UrbanDictonary.com: "Seize the night. Get work done at night and sleep all day!" OK, so that's actually a pretty darn good name. Been there, done that for years. According to Emilio Cigars, this pre release sample is fresh rolled with no aging. Hearing that leads me to believe that once it's released, the aged versions should be even better. Better? I thought this cigar already had already developed an amazing flavor profile. The Carpe Noctem should be released at the IPCPR show this year and will be available in three vitolas: robusto, toro and 6.5 x 60, each with a price point under $10.00. The construction of this Carpe Noctem toro was great, but let's talk about that later. The real excitement for me was the deep, rich, complex flavor mix I found in this cigar. My enjoyment started before even striking a match. I could smell the bold notes of fruit, perhaps plum, and a hint of chocolate from the foot while it was still a couple inches away from my nose. Surprisingly, the cold draw flavors were much different than I had expected, there were notes of toast and oak from the free draw instead of the fruit or chocolate found in the foot. Once the cigar was burning the real fun began. Right out of the gate I could taste flavors of cocoa, fruit and rich tobacco, plus the wrapper left a pronounced semi-sweet chocolate aftertaste on my lips. In my notes I wrote, "absolutely delicious". As I smoked on, the flavors changed at a fast and furious pace, there one puff, gone the next, then back again. I found other flavor nuances of oak, leather, charcoal, cream, coffee, anise, berries, dried fruit, oat straw, a bit of green hay and some flora. When I hit the two puffs of hay, it tasted green and for some reason I thought to myself that the hay will go away in the aged cigars. Only time will tell about that. I always look forward to the final third in a maduro cigar hoping to find my favorite flavor of burnt mocha and this cigar didn't disappoint me at all. The burnt mocha flavor mix boldly showed up just as the burn moved into the final third. I'd planned on smoking this stick to a lip burning nub, but in the last inch, bold, hot, red pepper developed so I stopped right there. Again I think that the pepper will disappear with ageing just like the green hay. Now we can talk about construction. The wrapper had a nice sandpaper like toothy appearance and feel, it was nearly vein free and the seams were tight, so tight they were nearly invisible. Feeling down the body there were no hard or soft patches and the cigar was firmly packed. In fact the cigar was packed so well it gave me a full 80 minutes of that great flavor mix. That's about 20 minutes more than I get out of an average toro. Overall the Carpe Noctem was a fantastic cigar and now I wait and wonder. I'm anxiously waiting for release of this fine cigar and at the same time wondering if I could possibly be my cigar of the year. Yes I thought it was that good! I'd like to thank Emilio Cigars and House of Emilio for giving me the opportunity to smoke and review this great cigar! Thank you! The cigars created by Emilio Cigars never cease to amaze me. The other day I smoked the Los Regalos Quetzal Toro, and it really got me thinking. I've smoked most of the cigars in the Emilio cigar lines and their quality and consistency is amazing. I feel every cigar they produce is better than average. It seems they all have great construction, nice aromas and great flavors, plus they're affordable. This Los Regalos Quetzal Toro was no exception. Starting with a smoothly laid down triple cap the appearance of this Los Regalos Quetzal Toro just got better and better. The vein free Ecuadorian habano wrapper had a bit of tooth, plus it was rolled on smooth and tight with nearly hidden seams creating a great looking cigar. When I checked the cold aromas, there were faint notes of fruit and rich tobacco from the foot and after clipping the cap, there were stronger notes of fruit from the firm but free cold draw. Once the foot was toasted and burning, the real fun began. Initially there medium bodied flavors of fruit and brown sugar. As the cigar burned on there were other flavors, some subtle, some bold, of nuts, molasses, oak, camp fire, dried fruit, nuts, anise, coffee, cocoa, cream and sugar. Now that's my idea of a super tasty flavor mix! As I smoked on, the razor sharp burn line left behind a soft, light gray ash that held on for about two inches and the smoke had a slightly nutty aroma. Overall The Los Regalos Quetzal Toro was just a great cigar. The flavor mix was complex and full of great flavors. The construction was near perfect and I was more than pleased with the 70 minute smoking time. I would like to thanks Emilio Cigars for providing this sample for review. Filler: Nicaraguan Ligero from Esteli, Condega and Jalapa. Let's pass on the construction details for a bit and get right into the flavors on this one. The first few puffs were a pleasant, medium bodied mix of nuts, coffee and toast, but that would soon change. Right around the half inch mark, all hell broke loose. Well, really it wasn't that dramatic, but the strength didn't just build, the Cain F Lancero Tubos jumped right into full body mode. As the cigar burned on, the flavor mix became pretty complex. There were added notes of sugar, oak, espresso, cocoa, peat, cream, raisins, wheat straw, molasses, cherries, earth, rich tobacco, barnyard and sweet black pepper. Wow, that's a lot of different flavors in one cigar. Not only did this cigar contain a ton of flavors, but every draw, the flavor mix had changed a little. I could probably end this review right there but there are a few details that should be added. Construction of the Cain F Lancero falls into the good range since I thought the cigar was a bit rough looking. The stout, toothy, Nicaraguan Habano wrapper was almost vein free, but the cigar looked rough. It was bumpy and the seams weren't always tight against the body. My thought process was that the loose seams might become a problem as the cigar burned, but that didn't happen, plus the cigar was packed well and there were no overly hard or soft spots along the body. Testing cold aromas, I found a nutty aroma from the foot and the free cold draw was sweet and spicy with a lingering aftertaste. This Cain F Lancero had a razor sharp burn line and gave me 70 minutes of mainly full bodied smoking gratification. Overall the Cain F Lancero with it's constantly changing flavor mix was a great cigar. I definitely will be smoking a few more of these from time to time. If you like them full bodied and full of flavor give this cigar a try! Spectacular! That is the only word that describes the construction of this Herrera Esteli Lancero. The wrapper was rolled on smooth and tight with nary a seam showing, there was a bit of tooth and only the finest of veins were present. Feeling down the length of the cigar, there were no hard or soft patches to be found, it was packed just right. Testing the aromas from the foot there were notes of sweet tea, caramel and rich tobacco to the nose. I could only hope that these flavors were present once it was burning. I clipped the cap and found the cold draw to be free with a sweet and spicy flavor mix that lingered in my mouth. With great anticipation I toasted the foot and lit the cigar. The first creamy mouthfuls of mild bodied smoke contained nearly the same flavors found from the cold foot, rich tobacco, caramel, brown sugar and a hint of oak. As the cigar burned on there were several other flavors that came, went and came back again. I could taste nuances of nuts, anise, sweet cream, sugar, toasted marshmallows, coffee, a dash of pepper and even a hint of hay. I thought the flavor mix was, for lack of a better word, delicious. I did test the flavors with a retro hale and was surprised to find it too was mild, smooth and creamy with notes of raisins. There are a few other details that should be shared, but with this cigar it's all about the flavors! As you know I am a fairly fast smoker, but this cigar provided me with 65 minutes of smoking pleasure. The burn line was crisp and razor sharp the entire length, plus the cigar never overheated on me. I mentioned earlier that the cigar started in the mild body range, however it finished in the medium body range. Overall, you can't get much better than this Herrera Esteli Lancero. It had fantastic construction and an over-the-top flavor mix. If you get the chance to try this cigar, do not pass it up! By accident I have two different brewing methods for this review. I had ground up some of this Tanzanian Peaberry to auto drip because I thought it had already been reviewed, but later discovered that it hadn't. I have used more than one brewing method in the past to compare the results. On most samples the brewing methods don't seem to yield much of a difference, but this time it did. The different grinding and brewing methods resulted in two completely different samples. 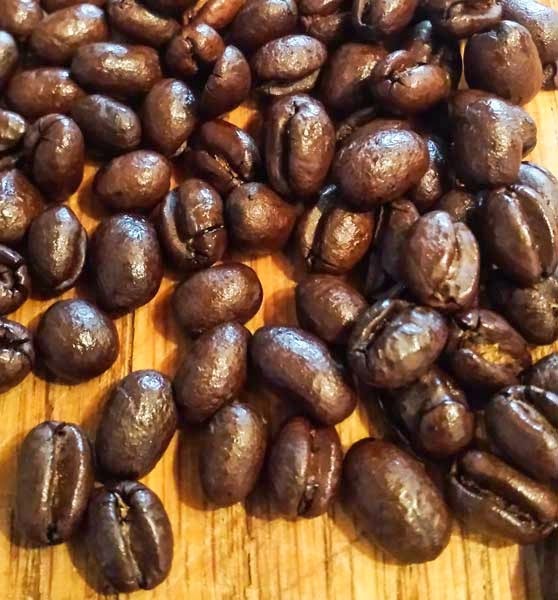 Putting my nose to the open bag, the whole beans gave off a nice aroma of cocoa and coffee, but once the Tanzanian Peaberry was ground the aroma changed to a mix of toast and coffee. On the pour over, the ground beans produced a nice bloom and radiated an aroma of toasted nuts. With the first sips I found the light bodied brew to be brisk with a clean, slightly sweet finish. The flavors were a muted mixture of coffee, nuts, oak and toast with a touch of citrus. The auto drip coffee had completely different results. The first sips were medium bodied with a soft, smooth, sweet syrupiness. I found the flavors even softer and harder to distinguish. There were notes of warm bread, toast and nuts. I thought both methods produced a good cup of coffee, but for my personal tastes, I do prefer the brightness found with the pour over. 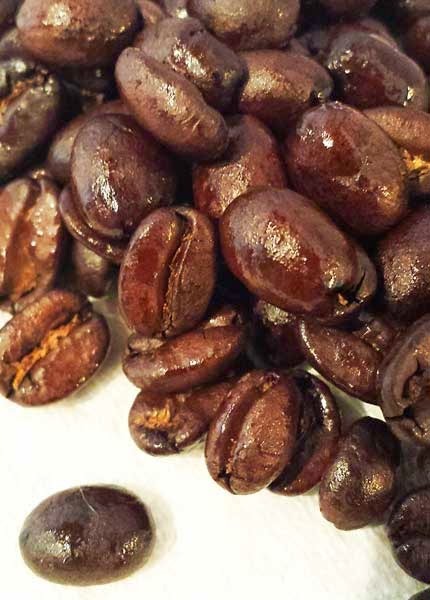 I am giving the Cascade Pride Tanzanian Peaberry a 4.7 out of 5 star rating! One final thought, I think this would be a good all day, any time coffee. As with the toro, construction of this gordito was top-of-the-line. The toothy Dominican hybrid wrapper was nearly vein free and it was rolled on with near seamless skill. From the foot, I found a sweet, fruity aroma to the nose and once the cap was clipped there were smooth notes of sugary caramel. After hitting the foot with my torch I actually said "yum" out loud. The first two mouthfuls of medium body smoke were simply delicious. I'm pretty happy no one else was in the back yard to hear me, since that sounds kind of dumb. From the first few draws the initial flavors were a tasty mix of caramel, pecans and cream. As the burn progressed several other flavors joined in, sugar, toast, sweet tea, brown sugar, campfire, oak, coffee and dried fruit. The flavor mix of this gordito, was superb and similar to the toro, but not quite the same. It was still complex, but lacked a bit of the depth I found in the toro. Perhaps it was the combination pairing of coffee and diet Pepsi, perhaps it was the shorter length that mellowed things out just a bit. However, don't take that the wrong way, the gordito was a great tasting cigar. I had one problem, the Rx label had a bit to much glue and I had to remove it with my knife. Normally that's no big deal, but this time it created a small wrapper crack. On the plus side, I was able to smoke through the crack without the wrapper breaking any further. 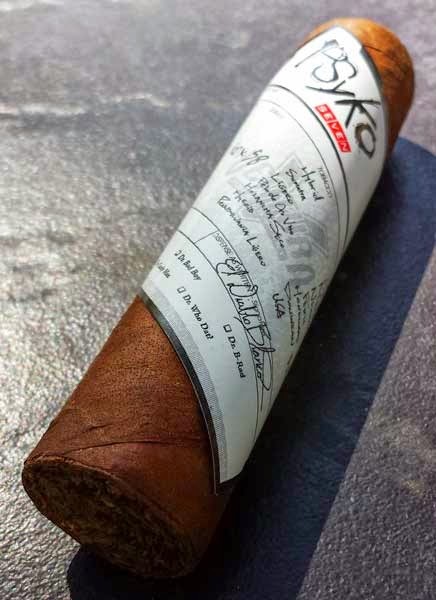 Overall I found this Psyko Seven Gordito to be another great offering from Ventura Cigar Company. It had a complex flavor mix, great construction and a fantastic burn. If you haven't smoked a Psyko seven yet you are really missing out. Over the past year I am always looking for new coffee's to review. My love of coffee is second only to my love of cigars and I combine the two quite often. My wife is a project manager for an IT company here in Spokane and recently being unhappy with their coffee supplier, they switched to Cravens coffee. Well, I bet you can see where I am going with this. Her office has two different blend of Cravens Coffee on hand so she brought me home samples to review. Thank you dear! Overall this Lost Trail Blend produce a really tasty cup of coffee, but some of the flavors baffled me for a bit. Well let's back up a little. In the bag I could see the oily caramelization, but this is where the aroma stumped me. The whole bean aroma had the normal nuances of coffee with a hint of toast but after putting my nose to the bag nearly a dozen times I just couldn't figure out the bold sweet aroma. At least not until I looked at my coffee flavor wheel. Looking at the wheel, tropical fruit jumped right out, but that wasn't quite right either, it was Juicy Fruit gum. I was amazed, the whole beans had the aroma of the gum I chewed constantly as a kid. Since that dilemma was solved, I headed for the grinder with a batch of beans for my pour over. The hot water produced a nice bloom and another aroma I couldn't quite place. It took a few minutes to figure it out, but my thoughts instantly went to camping. After a few minutes it came to me, toasted marshmallow. OK, so that's why my thoughts went to camping, the aroma of marshmallows toasting over a campfire. The pour over was done so here are the tasting notes: In the cup the coffee was bright, crisp, snappy and refreshing with a clean aftertaste that left my mouth watering. The flavors were sweet and fruity with a hint of toast. As it cooled in the cup the toast became bolder and a hints of wood developed. About half way though the tasting, I ended up pairing the Lost Trail Blend with a Psyko Seven cigar from Ventura Cigar Company. This cigar contains a great deal of natural sweetness on it's own, which enhanced the toast and wood notes while diminishing the natural sweetness of the coffee. It was a really great combination of flavors. I give this Lost Trail Blend from Cravens Coffee a 5 out of 5 star rating. If you can find it, I think it's well worth trying. Nathan McIntyre, House of Emilio National Sales Director announced Thursday that Cigar Station, Spring Hill, TN will be joining the House of Emilio Master Retailer program. Back a couple of weeks, I had the opportunity to smoke the Nomad S-307 which earned itself a hefty 94 rating. 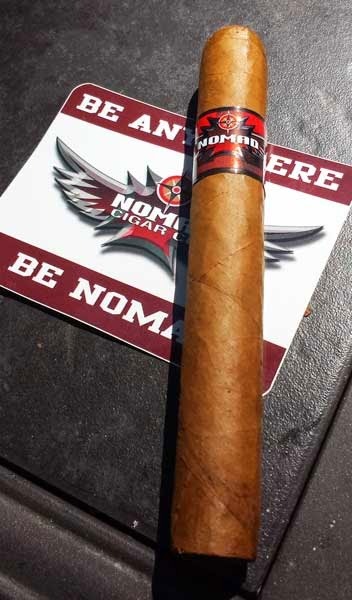 Today I am pretty excited to give the Nomad Connecticut Fuerte Robusto Gordo a shot. When I posted the picture on Instagram, I said this stick had amazing flavors, well it did. Actually it was crazy good, just like its' creator @GodFadr. Speaking of crazy good, if you get a chance, add yourself to the Nomad Cigars mailing list and get a crazy good newsletter every week. By the way, this sample for review was provided by Nomad Cigars and House of Emilio. OK, so why do I say this was crazy good? The flavors, it's all in the flavors. It seems that in today's market nearly everyone is trying to recreate a Connecticut cigar. Well Nomad hit the mark with this one. From the cold foot there were modest flavors of sweet and rich tobacco and testing the cold draw I found the flavors to be bolder with a mix of tea, spicy cedar and sugar, with the added benefit of a lingering sweet aftertaste. The first few draws resulted in large mouthfuls of mild bodied smoke with flavors of oak, sugar and earth. After the first few draws the crazy, wild flavor mix kicked in. As the cigar burned on I could sort out flavors of brown sugar, caramel, anise, flora, nuts, sweet cream, coffee and toast in about any combination you can imagine. The cigar finished in the medium body range and was so tasty I smoked it down to a lip burning nub. That's what crazy good tastes like to me. Looking at the overall appearance of the Nomad Connecticut Fuerte it's quite easy to recognize it was created by a highly skilled torcedor. The smooth Ecuadorian Connecticut wrapper showed nary a seem and only the finest of veins were present. Feeling down the body, the cigar was well packed with no apparent hard or soft spots to be found. Once the cigar was torched and on fire, this cool smoking stick left behind a crisp burn line and a firm stripped ash the held tight to the mid point before falling. 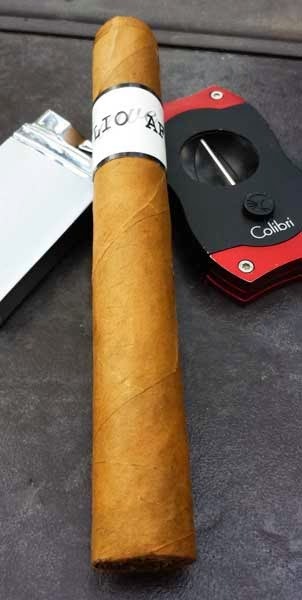 If you like them in the mild to medium body range, but are looking for a bit more flavor and kick, I urge you to give this Nomad Connecticut Fuerte a try. I was impressed and I bet you will be too.